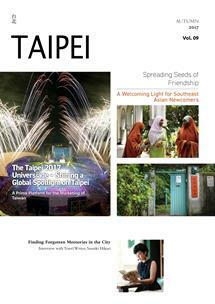 Imagine Taipei transformed into a city of art that never sleeps! On every street corner you experience music, dance and theater of many styles and from many cultures. Sound and lighting effects, together with cutting-edge technology from countries in the world over stimulate your senses, while beaming images flash between tall buildings. It’s as if you had just stepped into a scene of fantastic animation directed by some inspired director – this is the amazing scene the 2017 Taipei Nuit Blanche (台北白晝之夜) will create. Nuit Blanche is an all-night arts festival that originated in Paris. This activity allows people to see the city nocturnally in a different light, get close to culture, and explore urban spaces. Held on the first Saturday in October each year, the core characteristics of Nuit Blanche are “taking place at night,” “free admission,” and “bottom-up participation.” So far, more than 120 cities in the world have staged this event. Taipei held its first Nuit Blanche in 2016, and more than 200,000 people participated. 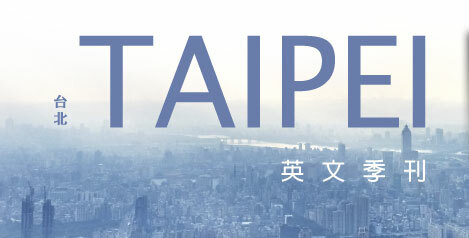 That year, the focus was on showcasing the glories of west Taipei, and in celebration of this event, the Presidential Palace opened its doors at night for the first time. 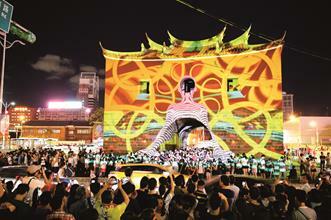 This year, the very cultural and historical Gongguan (公館) area is chosen for the festival. From National Taiwan University (台大), to the Wen-Ro-Ting commercial district (溫羅汀商圈) to the Hakka Cultural Park (客家文化主題公園), this arts fest will bring you a cornucopia of diverse experiences with more than fifty performances and displays to choose from. Welcome to Nuit Blanche, and have fun exploring Taipei all night long!